Even without competition from big foreign rivals, many local retail establishments have been experiencing difficulty keeping their heads above water. In recent years, a number of shopping malls and grocery outlets have been taken over by the country’s leading retail companies. Economic managers of the Duterte administration recently announced plans to open up more Philippine industries to foreign investors by easing ownership restrictions, including those instituted by the Constitution or specific laws. The retail industry has been identified as a priority for this move. Socioeconomic Planning Secretary Ernesto Pernia says that under this move, the minimum capital for foreign retail groups seeking to set up operations in the Philippines will be slashed to just $200,000 from the present $2.5 million fixed by the Republic Act No. 8762 which allowed the entry of foreign investors into the country under certain conditions. Finance Secretary Carlos Dominguez says the new policy, seen as a catalyst for “more long-term, job-generating” foreign investments, could be put in place as early as next year. If it pushes through as planned, the policy change will make the Philippine retail sector one of Southeast Asian region’s most liberal in terms of barriers to foreign investment flows. But local producers of a wide range of consumer goods could suffer as a consequence of the big foreign retail establishments bringing in more of their native produce and brands. More jobs to be created? That remains to be seen. The result of a mindless liberalization could be messy. The bigger impact could be the expected drastic jolts in the shake-up and consolidation now slowly taking shape among the local retail business interests. For instance, the 20-year-old WalterMart chain of community malls was co-opted four years ago by the giant SM Retail, part of the SM Investments Corp. and the country’s biggest retail group with a combined gross floor area now of over 2.71 million square meters (equivalent about one-tenth of the land area of Makati City). In 2015, SM Supermalls acquired the 62-year-old Cherry Foodarama grocery chain, a favorite destination for bargain-hunters, and has since refurbished the stores in line with SM’s multi-format concept. Another major group, Robinsons Malls owned by Robinsons Land under wings of the JG Summit conglomerate, now has 46 shopping malls in various parts of the country, with plans to put up ten more until the end of 2018. Separate from Robinsons Malls is Robinsons Retail Holdings, which has been acquiring majority ownership of smaller retail firms such as Southstar Drug (which started as a small herbal medicine shop in the Bicol region but has grown into a nationwide chain of 350 stores), Generics Pharmacy (which originally opened as a regular medicine store in 1949 but specialized in affordable generic drugs starting in 1983), De Oro Pacific Home Plus Depot (a builders hardware retailer established in 1993 in northern Mindanao), and Chic Centre (a cosmetics business which started operations in 1977 in Pasig City). Robinsons Retail now has a network of 1,619 stores (excluding Generics Pharmacy’s 1,954 stores) with a combined floor area of nearly 1.07 million square meters. Supermarkets, department stores, do-it-yourself stores, convenience stores, drug stores, fashion and beauty shops, and specialty stores (Daiso, Toys ‘R’ Us, Robinsons Appliances and Costa Coffee shops) are in the Robinsons Retail group. Robinsons is not done yet, keeping its sights on potential takeover targets. A more focused strategy on supermarket retail is being pursued by Puregold Price Club, established in 1998 but has now grown its chain into over 200 big- and medium-sized stores around the country. Since its went public in 201, Puregold has embarked on an aggressive expansion program that saw it taking controlling interests in struggling retail outlets in the provinces. Puregold has also acquired high-end retail venture S&R Membership Shopping and Parco, and formed a joint venture with Japanese convenience store chain Lawson. Puregold more recently initiated a merger of three of its retail-related units in a bid to enhance operations efficiency. Not to be outdone, the Ayala enterprise has also scored gains recently in its retail business, with its shopping mall business enlarging its coverage in step with its expanding real-estate development activities. However, the conglomerate is currently reviewing options on its FamilyMart chain on account of tightening competition in the convenience store business. A quick look at government policies on the entry of foreign companies into retail in some of the countries in Southeast Asia does not establish a correlation between low capitalization and the actual entry of foreign investments. In Thailand, foreign retail giants are still moving in despite a total minimum capitalization equivalent to nearly $2.9 million total, or nearly $600,000 for each establishment opened by a group. The capitalization requirement for foreign firms going into wholesale business, on the other hand, is set at $2.99 million per establishment. In Indonesia, the government in 2014 tightened—not eased up—restrictions on the entry of foreign investments into a number of key industries including retail. Declared “closed” sectors to foreign investment include retail across automotive, non-mini markets or department stores, textiles, garments and toys, cosmetics, footwear, electronics, food and beverage, and e-commerce retailing. 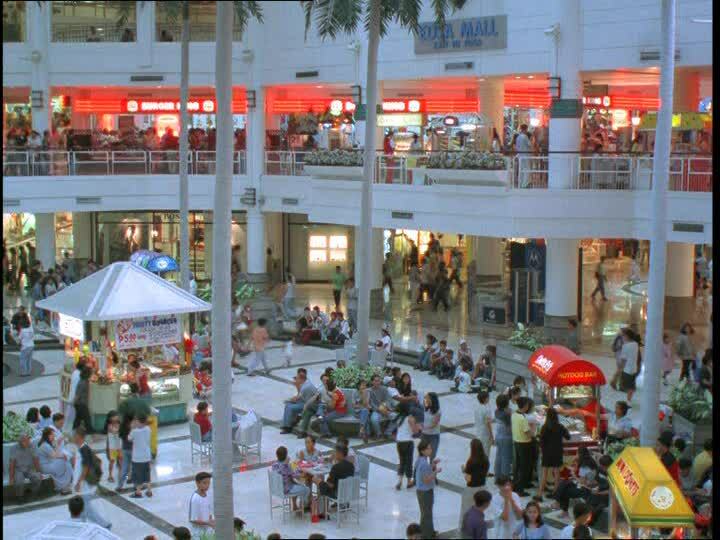 The only retail activity open to foreign investment is “large scale hypermarket” format, with the government dictating the required scale or size specifically based on square meters of floor and other space..
Vietnam, whose foreign-investor-dominated retail industry is projected to generate $109 billion worth of sales this year, now ranks 11th on the Global Retail Development Index, surpassing its Southeast Asian neighbors Malaysia, Thailand and the Philippines. In 2014, Vietnam was number 28 on that list. Increasing disposable income and favorable state policies are cited as the main drivers for the strong growth in Vietnam’s retail market. For nearly two years now, Vietnam has allowed the entry of 100 percent foreign-owned retail businesses, although the rules have been silent on any capitalization requirements. Industry estimates put the minimum investment to set up a 24-hour convenience store at around $100,000 and at least 300 outlets are said to be needed for an investor to start making profits. On the other hand, recent cost estimates of putting up a shopping mall in Vietnam point to an investment of around $35 million to $45 million per mall. Vietnamese retailers have urged their government to provide support against the still-increasing presence of foreign firms, mainly from Thailand, Japan and South Korea. Local retailers now find it difficult to expand even in their home turf owing to the domineering presence of foreign retail giants. Even in Cambodia, the flow of foreign investment is now seen spreading to such sectors as retail, leisure and tourism, following the influx into real estate activities in the past couple of years, according to analysts. Large shopping malls are now taking root following the entry of Japan’s Aeon in 2014 and Malaysia’s Parkson in 2016. For many foreign investors, the preferred entry strategy into Cambodia seems to be through joint ventures with local partners or franchising. Closer to home, top officers of the Philippine Retailers Association (PRA) have expressed fears that opening up the retail industry more easily to foreign investors could hurt local small businesses, which over the past years have experienced significant growth and accounted for much of the new jobs created by the economy. Roberto Claudio, vice chairman of the association, says the proposed move will put small Filipino businesses at a disadvantage against big retail firms expected to come in as a result of the envisioned policy. These small retail ventures still need protection from the government, he says. Still, foreign retail brands have been visible in the local market for many years now, operating not by themselves on their own but in partnership with established local industry participants. The Dutch retailer Makro partnered with SM and Ayala in setting up a chain of membership wholesale stores in 2005 but the domestic economy could not sustain such an operation and closed shop seven years later. To be sure, in the late 1990s such foreign retail giants as Carrefour, Casino Group, WalMart and a few others sent investment teams to the Philippines but nothing concrete materialized—like ordinary window shoppers, they came by and ended up just looking. Much later, however, a few of them partnered with major groups like Rustans for the local distribution of their products. The British grocery and general merchandise retailer Tesco now has many of its products on the shelves of SM supermarkets under a partnership with the SM group. Daiso, the ubiquitous retail chain known most for the uniform 100-yen prices of its products, has a tie-up with Robinsons Retail. There are others: the 7-Eleven convenience store chain has a partnership with Philippine Seven Corp. that dates back to 1998, and more recently Indonesia’s Alfamart launched a tie-up with SM for the establishment of neighborhood minimarts in areas outside Manila. In fact, reports indicate that around 200 retail brands are now being marketed in the Philippines under certain forms of partnerships with local entities. This could be a more palatable scheme for the entry of foreign investors in the local retail industry, which is seen to continue to grow, thanks to the remittances of Filipinos working abroad and the youth population’s earnings from business process outsourcing as well as the funds that go to individuals involved in government projects. Given that shopping malls and other large retail establishments are now giving rise to certain problems in urban centers like Metro Manila, Cebu and Davao: crippling traffic jams, waste disposal, and petty crimes. Many consumers now prefer to pick up their groceries in smaller shopping outlets near their residences. The Duterte economic managers may want to consider allowing new foreign retailers—but into designated areas outside Metro Manila where their presence will be better appreciated by consumers. This scheme was applied in the opening up of the banking sector back in the early 1980s, and it resulted in an orderly entry of foreign banks even amid concerns about being elbowed out raised at the time by local business groups.